When you test your web application for potential bugs and issues, before you make it live, there is a list of testing types that need to be carried out. 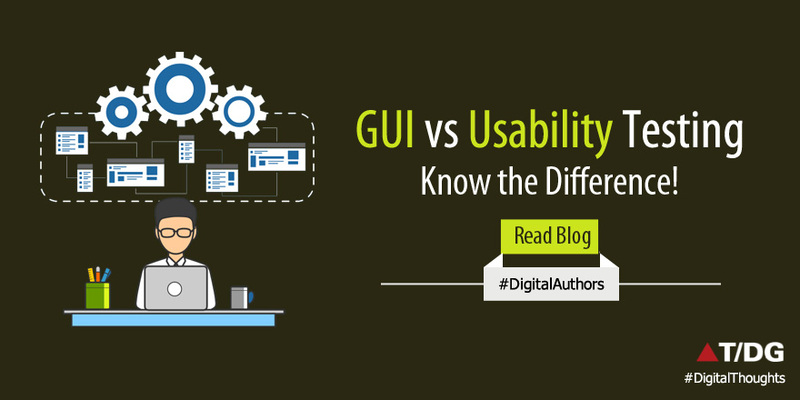 GUI testing and usability testing, both form a part of this list. Checking the screen controls like menus, icons, buttons, menu bar, etc. Checking the usage of the right combination of font sizes. Checking whether error messages appear or not. Checking if the application is visually appealing. Checking placement of important buttons to ensure they can be easily seen by the user. Checking content for spelling & grammatical errors. Identifying how long it takes to complete specified tasks. Interestingly, the many similarities between the two leave many a tester baffled. However, the fact is there are differences when it comes to the objective and scope, and a few other parameters. Here we shall look at a comparison table that briefly describes the differences. Not so necessary for apps catering to a unique user base. At the end of the day, both usability testing and GUI testing are elements of automated web application testing that help in making your application more appealing and attractive to your users and leads to more downloads. Also, one cannot deny the fact that an app, or any software product for that matter, should meet the technical specifications as well cater to the user’s convenience in order to be successful. Learn more about how we can help you experience the many benefits of test automation for your applications with QARA Test, our Automation Testing tool. Thanks for sharing the valuable information to share with us. Usability testing is much more than a tool. It's observation, empathy, analysing how the users go about the tasks and studying their pattern of using the software of app.